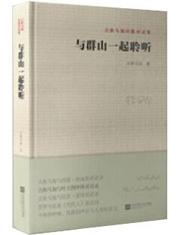 2018This is a collection of 25 poetic dialogues between Jidi Majia, author and a great modern Chinese poet, and other domestic and foreign poets and media insiders. Listen to with the Mountains is a collection of 25 poetic dialogues between Jidi Majia, author and a great modern Chinese poet, and other domestic and foreign poets and media insiders. Due to their rich content, original ideas and poetic enlightenment, several pieces have triggered farreaching reflections both at home and abroad, such as the talks with Yevgeny Yevtushenko, a Soviet and Russian poet, and Simon J. Ortiz, a Puebloan writer of the Acoma Pueblo tribe. Jidi Majia was born in the Liangshan Yi autonomous prefecture of Sichuan province in 1961 and belongs to the Yi ethnic group. He is one of the greatest poets in China.